Of course, these kinds of questions might not necessarily apply to every day purchases, but you never know! 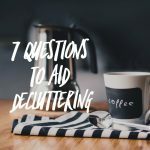 Given one of the questions we ask ourselves when decluttering is whether the item has any value it only makes sense to ask the same thing before buying anything new. What you define as adding value will of course be different for everyone – it could be anything from saving you time, or even just bringing some happiness, as long as you perceive it as adding valuable then that’s what matters. Can I afford it and is it the best use of this money? The first part of this question is obviously particularly important for more expensive items, but the second half can apply to pretty much any purchase. Ask yourself whether there is room in your budget for the item and whether you will have to make sacrifices elsewhere. If you work out you can afford it then ask yourself whether there is anything worth more value to you that you could be using the money for instead. This really helps to prioritise your spending and avoid wasting your hard earned cash. 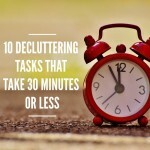 This is a particularly important question if you’ve gone through a decluttering phase! If you’re trying to reduce the number of items in your home then before buying anything new have a think about whether you already have something that could do the job. 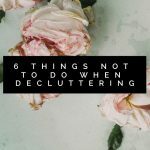 This goes for everything from kitchen gadgets to items of clothing, makeup, gardening tools, you name it. Ah, one of the biggies! It’s so easy to tell ourselves that we are only buying things that we definitely need, when really a lot of the time those things are more like wants pretending to be needs. I’m not saying there’s no place for items that we just want, but it should be done thoughtfully. That way you can make more informed decisions about what you are purchasing, and maybe even afford to buy better versions of the things you want, because you’re buying less of them. Is this the best version or quality I can afford? This can be a tricky one as it often means spending a little more upfront, but in the long run that can save you a lot of money. Having this question front of mind might help reduce spending on cheaper, less sustainable, less long lasting items (particularly clothes and shoes) and allow you to invest in higher quality, more ethically produced alternatives. What is the full cost of this? I think this question in some ways ties back to the question of whether you can afford the item in the first place, because it requires thinking about the longer term cost of what we are buying. This might include costs to maintain or operate the item, or maybe even to store it. However the full cost can also include things like whether having the item brings other kinds impacts to your life – such as taking care or worrying about the item. Only once we consider the true costs can we be sure that we still want, or need, it. Have I looked for a secondhand version or can I borrow this? This is definitely one of my favourite questions! So often items we’re looking to purchase someone else is looking to get rid of, so starting with searching for secondhand options is a great idea. Not only will it save you money but it reduces the environmental impact of the item as well. Even better is if we can borrow things that we might not need to use very often. See if your family or friends have what you need, or reach out online or to hire companies. It will save you a lot of money, as well as the stress of having to maintain and store things that you don’t need regularly. 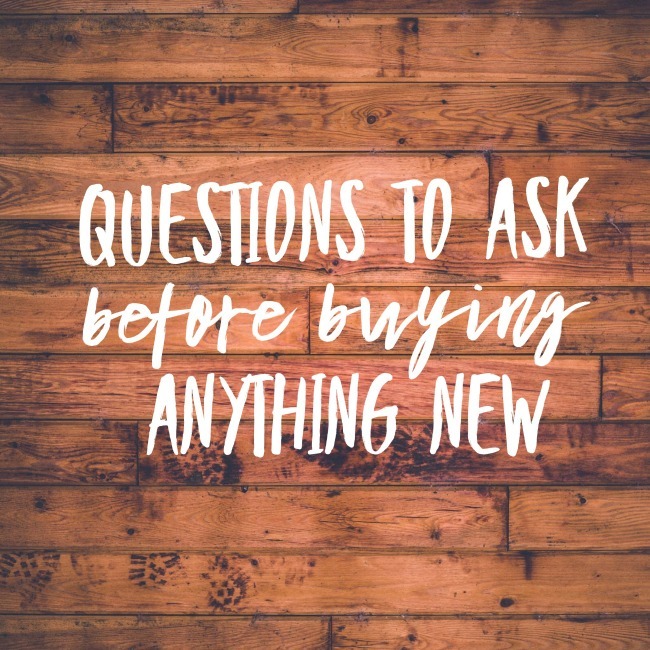 I hope you find these questions to ask before buying anything new helpful!